The Galápagos Islands are amazing! This archipelago 600 miles off of the Ecuadorian coast was the inspiration for Charles Darwin’s evolution theory. It is also a treasure trove of endemic wildlife, a wonderland of unspoiled seascapes and a UNESCO World Heritage Site in its entirety. These nine travel guides show an enticing fraction of this must-visit destination. 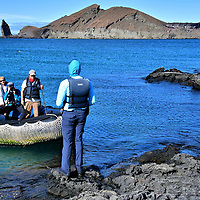 A short boat ride from Baltra Island is North Seymour Island. 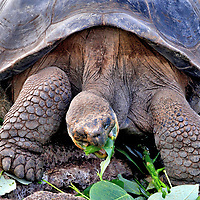 This first stop for many visitors to the Galápagos Islands is a treasure trove of fascinating wildlife waiting to greet you on their .75 square mile barren abode. 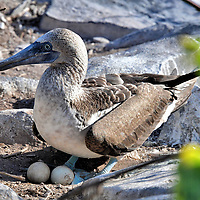 Genovesa is a small, remote island just north of the equator with large colonies of seabirds including three kinds of boobies, two types of frigatebirds plus herons, gulls and owls. 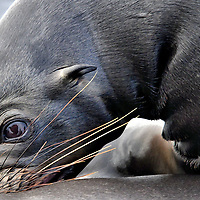 Other residents range from enormous sea lions to tiny colorful crabs. 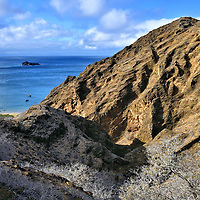 A few miles south of Santiago Island is Isla Rábida. 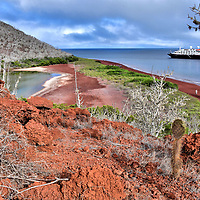 Although physically small, its stunning red beach and surrounding rainbow landscape may be one of the biggest and most pleasant surprises of your trip to the Galápagos. 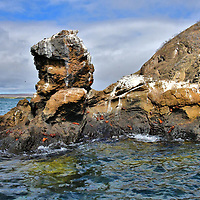 San Cristóbal is the easternmost island in the Galápagos and the fifth largest. 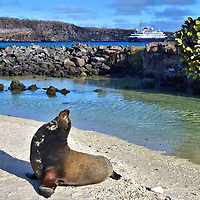 The port town of Puerto Baquerizo Moreno has an airport and is the capital of the Galápagos Islands. Many vacationers use this as a hub for local nature activities, excursions to uninhabited islands, charter boats for snorkeling and fishing plus adventures like visiting a giant tortoise reserve and the wildlife at Punta Pitt. 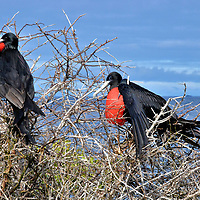 Isla Española is the southernmost and among the oldest islands in the Galápagos. Your itinerary includes two visitor sites. The first is the eastern headland of Punta Suárez, the home of several species of seabirds including 30,000 waved albatrosses. The second is the pristine beach at Gardner Bay.